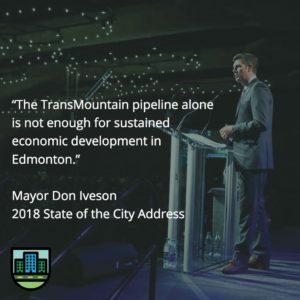 Edmonton’s mayor says oil won’t be enough to sustain our city’s future. Don Iveson talked about the need to become a more entrepreneurial city in his annual State of the City address. The mayor didn’t rule out some City money going into startups and local businesses, but is hoping the business community can put more money into diversifying our economy. I’m not sure I agree that local investors have been holding out in launching new ventures, but there could always be more coordinated efforts I suppose. All this talk of innovation and entrepreneurial hustle has yet to make its way to some parts of the City government, however, since it can’t even approve a restaurant’s rooftop patio. Take a risk indeed. The City is going to make some changes to a transit station where a young man was killed by an LRT train. This follows on so many other traffic and transportation deaths where safety improvements aren’t made until after someone is killed or seriously hurt, even if there are previous complaints. There are many, many ways for the City to get ahead of a lot of these tragedies, but city councillors need convincing to make it happen. Time is winding down on public engagement for Edmonton’s new transit strategy. This is the one where a number of bus routes could be re-directed to major streets in order to increase frequency on busy buses and in areas where lots of people take transit. Turns out electric buses are heavier. I say “turns out” because that fact is causing an increase to the construction budget of a new transit garage in order to safely store the buses. This is among other budget adjustments likely to come this week. Digging into the downtown bike network stats, Troy Pavlek finds that we’ve nearly doubled cycle traffic through the city centre since opening our new bike lanes last summer. Keep in mind, we didn’t open all of the lanes until later in the summer, so I suspect we’re going to keep seeing these numbers go up. (And we don’t have any counts for new southside bike lanes either, which only started opening before it snowed in late 2017.) This is the kind of induced demand we actually want for our roads! Accidental Beach could be bigger than the arena for families in Edmonton. We all have to be on our best behaviour this summer though, since the mayor put the beach on double secret probation. No more fires, don’t throw your garbage all over Cloverdale and try to not poop on the beach, mmmkay? Edmonton’s first purpose-built veterinary clinic will be saved. But for every heritage building we save in Edmonton we must tear down at least 137. *My math may not be absolutely correct. But we are forever on the list of cities in need of preserving great, old buildings. Edmonton is going to green power, even though it requires some bold moves (not to be backstopped by the local business community on this one). Marijuana retail shops will be awarded by lottery. You really only need a landlord to get in on this, so I suspect one or two might get sold off to high-bidders when it’s all said and done. Those really f***ing bright digital signs are among the reasons our sign bylaw is getting reviewed. A major urban farm will be safe after all, now that the provincial government has chosen a different option for heavy truck traffic around the east side of the Metro Region. And, I’m just curious, but is Fort Saskatchewan’s city council meeting in your office breakroom? The police chief is on his way out. His contract expires in October and, even though he’s been publicly talking about how an extension was going to be announced any day now, it’s not going to happen. This really caught everyone by surprise. It all comes down to a matter of months. 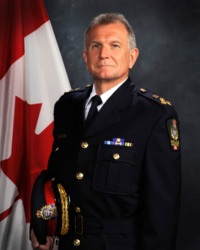 The chief wanted an extension through next June, but the Edmonton Police Commission offered him until March 2019. A matter of roughly three months, and we are now on the search for a new police chief. Along with racial profiling through the practice of carding, one of the ongoing negatives of Rod Knect’s tenure has been the increasing secrecy around people involved in some crimes. You can bet the local media will be jumping on the new chief over the latter. 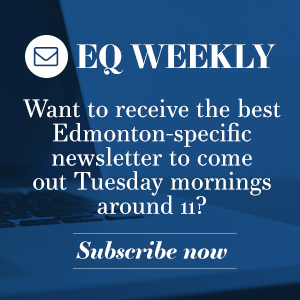 The new EPS chief may also need to address workplace harassment. It’s certainly becoming a larger issue in the wake of #metoo. A former civilian employee just launched a lawsuit related to a toxic workplace. And this isn’t the only instance we’ve heard of recently. Police have some new guidelines when investigating sexual assaults. It says something about how things have previously been handled that one of the keys is to treat victims with dignity. EPS wants more money to deal with the legalization of marijuana. They continue to arrest people for something soon to be legal, of course. That’s going to cause a lot of tie-ups in court cases once the law changes. Edmonton police spend a lot of time sitting in hospitals with people they’ve detained for mental health reasons. There have been more assaults of Edmonton Transit drivers, which is sparking tests of new retractable shields on city buses. For the second time in as many weeks, a person has died at Edmonton’s Remand Centre. Following up on a Postmedia story from last month on the massive increase in private security officers in Alberta, The Star now confirms that the number of complaints is indeed increasing. The Star has that new stat on how many complaints there have been in the last two years, which the provincial government refused to provide to Postmedia last month, so I won’t go so far to say that this is the same story twice. But it’s pretty darn close. This is a big deal in Canadian media right now, with a pile on happening as journalists call out the CBC for the practice of essentially duplicating the work of other newsrooms but claiming they broke the stories. It’s not just a CBC problem though. This is how quite a lot of the news ecosystem works. One newsroom breaks a story and the follow-up story from a competing newsroom(s) appears nearly identical. 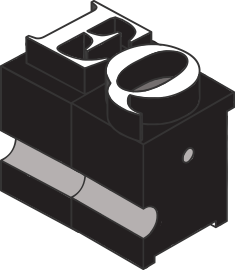 The following outlet may speak to a different person, or highlight a different fact or piece of data, but you will almost certainly never see the originating newsroom credited for breaking the real story. It’s an outdated practice that is rendered pointless by the linkable Internet. I bet if newsrooms kept sharing stories for more than 24 hours we’d see a bigger reduction in this kind of duplication. And then we could get even more original reporting! One more thing on that story from The Star. It appears to be written by a reporter in Toronto. Nothing wrong with that, I just find it odd. The Alberta government has apologized to Indigenous people who were taken from their families as part of the “Sixties Scoop”. For decades, governments across Canada removed children from their homes, sending them to live with non-Indigenous foster parents, as a continuation of our nation’s work to kill Indigenous culture, language and spirit. Ours is the second province to officially apologize for the traumatic acts, though a contentious settlement with the federal government was also recently approved. I’ve mentioned this story about a family trying to flee Turkey before, but it appears to finally have a conclusion. And it’s a happy one at that, right here in Edmonton. The annual Sikh parade got a fair bit of coverage last weekend, shining some light on our city’s large Sikh population and this major event. Hers is a name we will be speaking for decades to come in Edmonton, as Donna Clare designs some of our most iconic spaces and places, including the Shaw Conference Centre’s Hall D, new Walterdale Bridge and Royal Alberta Museum. After success in last year’s municipal elections, the work continues to get more women involved in politics. Some Sturgeon County neighbours are really hating on the idea of former foster kids attending a youth camp near their properties. Like, classic NIMBY hating. Local poets will have some permanence in The Meadows, literally, with their work engraved into neighbourhood sidewalks. Edmonton’s got its first official goat coordinator. Yes, that is a real job and yes we are all jealous.